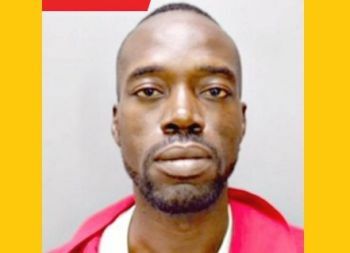 CHARLOTTE AMALIE, St Thomas, USVI— A man suspected by police in the shooting death of a 22-year-old man in St Thomas, US Virgin Islands last year, is now in the custody of the [US] Virgin Islands Police Department (VIPD) after being caught in Texas by law enforcement, VIPD Public Information Officer Glen Dratte announced Saturday, June 1, 2017. According to Mr Dratte, citing a police report, on June 12, 2016, Ojahnia Adkins, 22, was shot and killed in the area of Tutu Housing Community in the vicinity of building 21. Subsequently, an arrest warrant was issued by the Superior Court of the Virgin Islands for Currup Williams. Mr Williams, 43, was apprehended by the Killeen, Texas Police Fugitive Apprehension Team on Wednesday, June 14, 2017, after being alerted by major crimes detectives that Mr Williams was a fugitive from the Virgin Islands, and had been seen in Killeen, according to Mr Dratte. On Friday, detectives from the St Thomas Criminal Investigation Bureau, Major Crimes Unit, made contact with Mr Williams, who was being held at Bell County Jail in Killeen, Texas, and was flown back to St Thomas. Currently being held at the Bureau of Corrections Detention Center, Mr Williams was charged with first-degree assault, third-degree assault, and unauthorised possession of a firearm during a crime of violence. “The Virgin Islands Police Department will continue to implement the further use of technology in both its crime prevention and apprehension efforts,” stated VIPD Commissioner Delroy Richards. All these guys from St.Thomas commit crimes and run to the States thinking they are home free. Look how many of them get caught in Texas and North Carolina. A face only his mother could live.